The Wizards finally lost a game at home tonight. 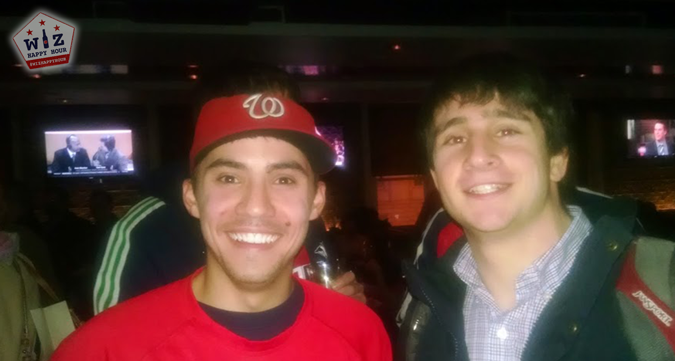 Luckily for us, we still had a fun meetup before watching the demolition at Verizon Center. 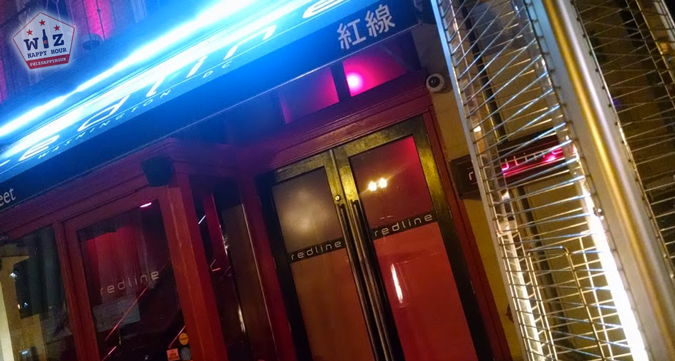 This night's pregame happy hour was at Redline, which is across the street from Verizon Center. The bar had some really great happy hour deals including food specials which gave us a nice turnout (Photos). 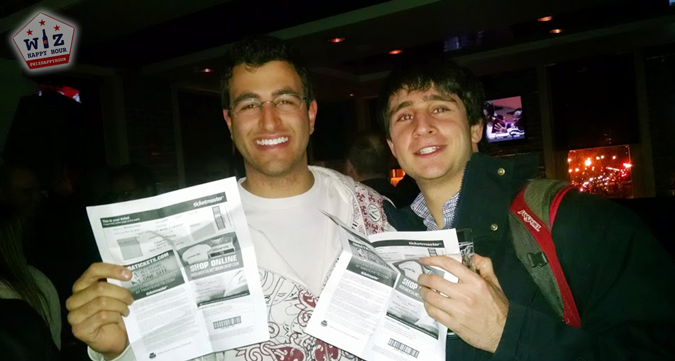 We gave away another pair of tickets to the game to two lucky Wiz Happy Hour members as well. Overall it was a pretty fun meetup and I'd recommend you go there before a weekday game in the future. Redline is located directly across the street from Verizon Center. While the restaurant is known for being a gastropub (pay by the ounce tap dispensers on the table) and sports bar (lots of TVs) they also have a pretty incredible happy hour. Monday-Friday (4pm-7pm) you can get $3 Shock Top, Goose Island 312, and Bud Light on draft. If you are a fan of Shock Top, this is one of the best deals in the area. Even rail drinks are $3 which beats most bars in Chinatown by $1-$2! For those who aren't into beer they have some pretty interesting specialty cocktails ($5) and house wines ($5). Just be wary, when the clock strikes 7pm the specials disappear with Cinderella. 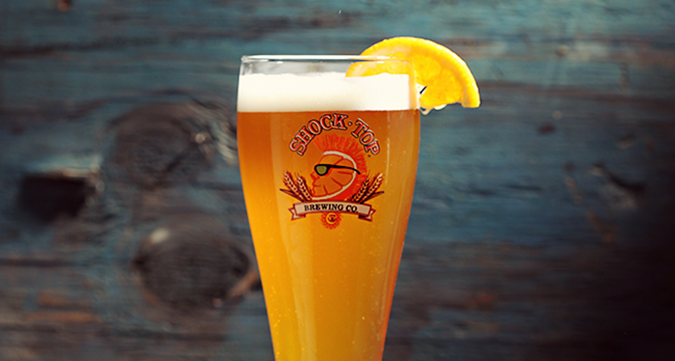 The prices skyrocket, a Shock Top going from $3 to $7! Even Bud Light is $6 regular price. I believe the idea is to turn the place into a "lounge" style bar, but honestly I wouldn't set foot in there on a weekend or after 7pm. No wonder the bar was empty at 7:01. Do you have a favorite bar around the arena? 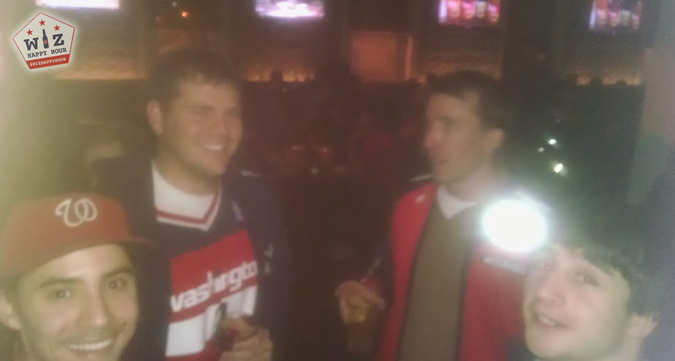 Tweet/Email them and ask them to host a #WizHappyHour, we'll do the rest! Drinks aren't the only thing on special during happy hour with a large number of appetizers available for $5 including skewers, quesadillas, hot dogs, wings, and more. Select flatbreads and pizzas are also on special for $7. Everyone was on a liquid diet that night, so we didn't take advantage. 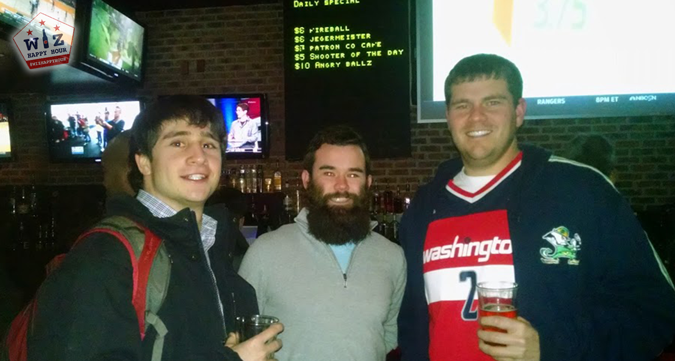 Congratulations to Sam who walked away from happy hour and directly into the Verizon Center with his friends after receiving 2 free tickets to the game courtesy of Wiz Happy Hour. We've now given away tickets or ticket to 4 out of the 5 home games! 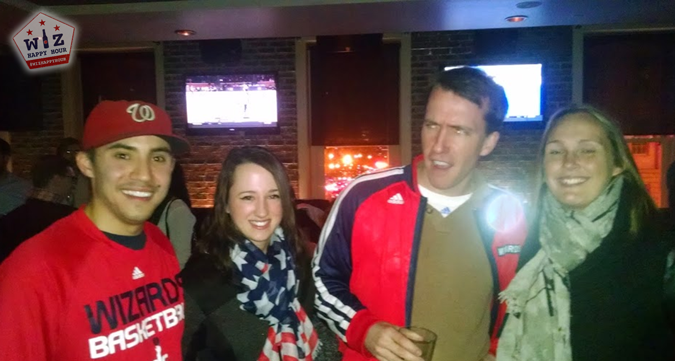 As we mentioned before it was pretty upsetting that the Wizards lost. 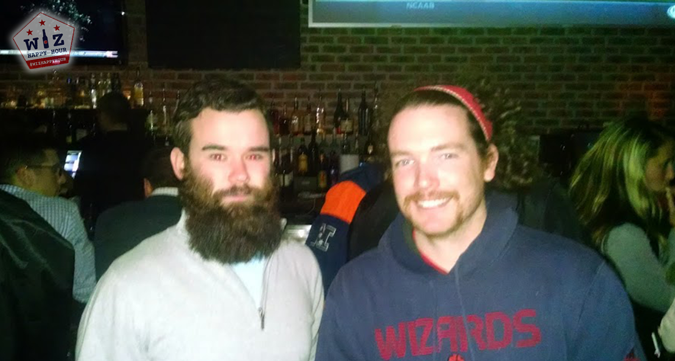 However a great time was still had by all and we met a great group of Wizards fans who will definitely be attending future happy hours. Hope you can join us soon! See you out there & Go Wiz!